Today I found out that ‘Uncle Sam’ was a real person- Samuel Wilson, born September 13th, 1766 and died on July 31st, 1854. In 1789, Wilson and his brother Ebeneezer moved to Troy New York where they set up a counting house. Sam Wilson later died, then came back to haunt Ebeneezer on Christmas Eve trying to get him to change his tight fisted ways… wait… wrong story. In fact, the two ended up setting up the business E. & S. Wilson which, among other things, dealt in meat packing. By the war of 1812, his business was fairly prosperous. During the war, E. & S. Wilson obtained a contract with the U.S. government to provide the army with beef and pork. They shipped this beef in barrels and because the meat was now the property of the U.S. government, he marked them with “U.S.” on the barrels. The teamsters and eventually soldiers took to saying that the “U.S.” on the barrels stood for “Uncle Sam”, referring to the co-owner of the supplying company, Samuel Wilson. Eventually, they took to referring to all U.S. branded property as “Uncle Sam’s”, even though E. & S. Wilson only had supplied the beef and pork. 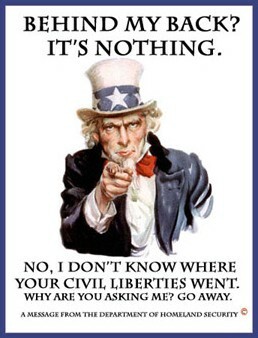 This soon further evolved into calling the federal government itself “Uncle Sam”. Widespread use of this anthropomorphic figure of the U.S. government later became popular among the masses through various political cartoons; often squaring off against the English equivalent “John Bull”. 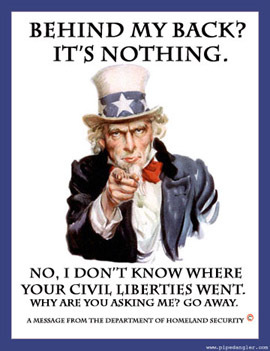 Uncle Sam was first mentioned in public print as early as 1813 and later was connected to Sam Wilson by the New York Gazette on May 12, 1830. Uncle Sam was first portrayed in human form by cartoonist Frank Bellew in the March 13th, 1852 issue of the New York Lantern. The famous recruiting image of the Uncle Sam during WWI that depicted a stern Uncle Sam pointing his finger and saying “I want you” was drawn by artist James Montgomery Flagg in 1917. This was based on a famous series of British war recruitment posters featuring Lord Kitchener and is now the standard image used to depict Uncle Sam. The Senate and the House of Representatives officially saluted Uncle Sam Wilson of Troy, New York, as the progenitor of America’s National symbol of Uncle Sam, including creating a national monument marking his birthplace in Arlington Massachusetts and his burial site in Oakwood Cemetery, Troy, New York. Someone should name their kid “Ebeneezer”. Keep the name alive! I learned that I am a great great nephew of Samuel Wilson, Uncle Sam. It seems that two of his brothers migrated down the east coast, landing in Georgia and went into operating plantations. All of my paternal relations (Wilsons) come from Georgia . I guess it means little today, but if any other relatives would come forth, it would be interesting.